One of the greatest things that shoes do that they can change the whole vibe of an outfit. To me, it’s one the easiest ways to evoke a different tone to your look with rather minimal effort. By pairing a different pair of kicks to one of your routine work outfits, really punches up your cubicle city. Case in point, the ‘Jammy’ from TopShop. 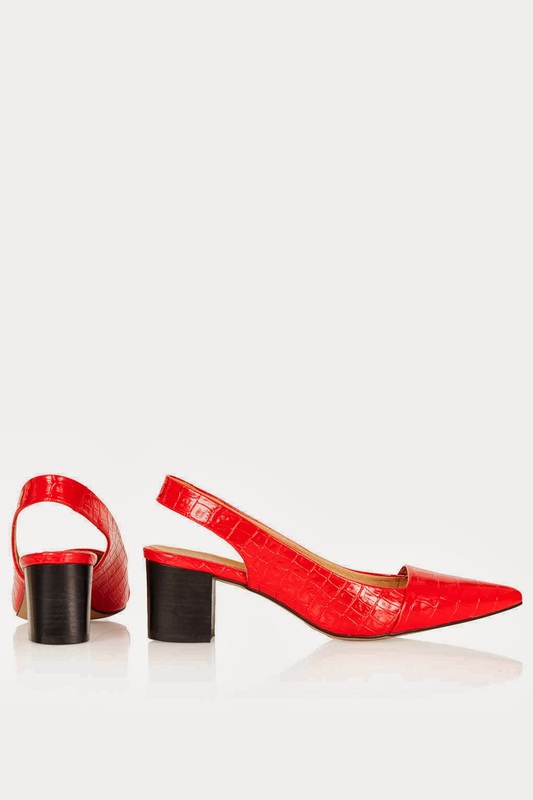 These sassy little slingbacks give some serious edge without yielding you the dreaded coworker eyebrow raising face. They have crocodile embossed leather. 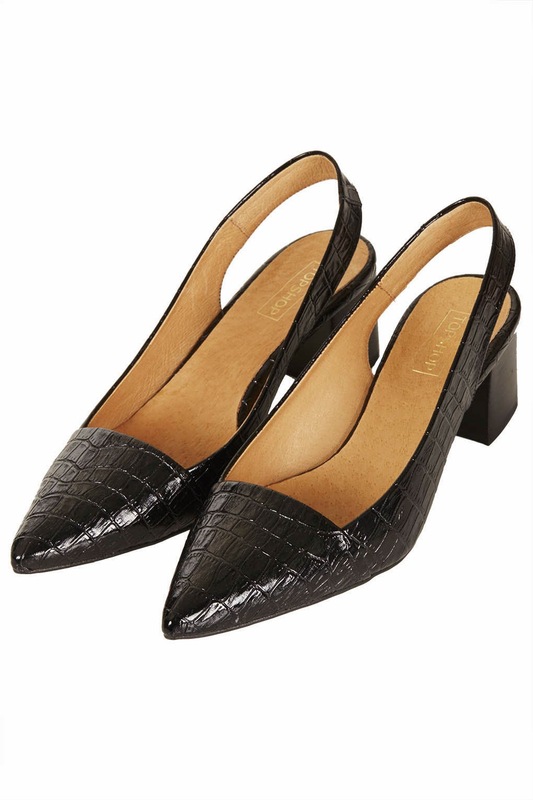 The added texture elevates the average slingback. The leather isn’t patent but it is shiny so the croc print really catches your eye. There’s the pointy toe that helps elongate your leg and the line of your body. 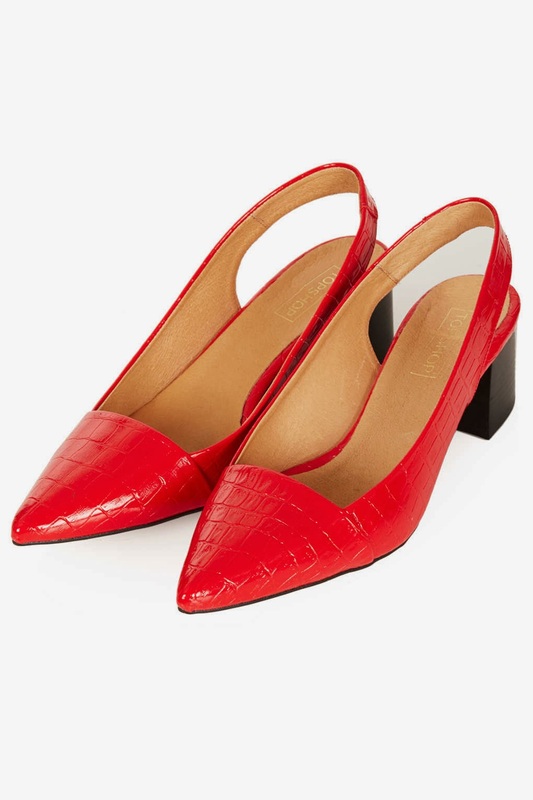 The very straight cut of the toe box across your foot is what gives it that edge above a regular slingback. It’s a pretty wide cut that has a sharp angle. And while sometimes that can be deterring because wide cuts have the potential to make your foot look too wide, the side straps go up your foot at the right angle to compliment it. I am in love with the red, but they also come in black and still deliver the sass. 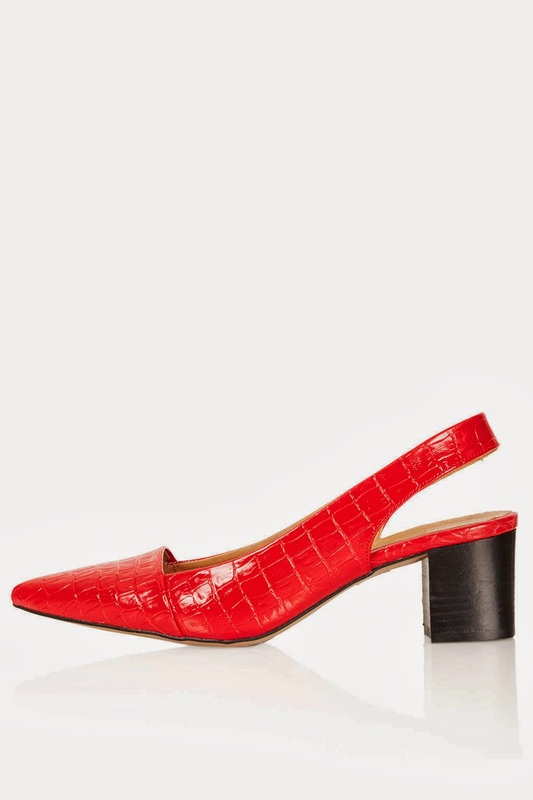 I've found that generally, Top Shop shoes run small, and these are no exception, so go up a size for a comfortable fit. ;) The best part here is that they're on sale for only $30!! So you can actually get them in both colors and not put a dent in your wallet. As you can see in the outfit pictured here below is perfect for any office. You add a looser fitting blazer or sweater and you’re stylin’ tre chic in your sleek scales. Lovely post!! ;) Thank you for stopping by! Oh those are cute shoes, I need some low heels in my life! In love with the bright red colour, great find! Chic and practical! I do love the bold color.